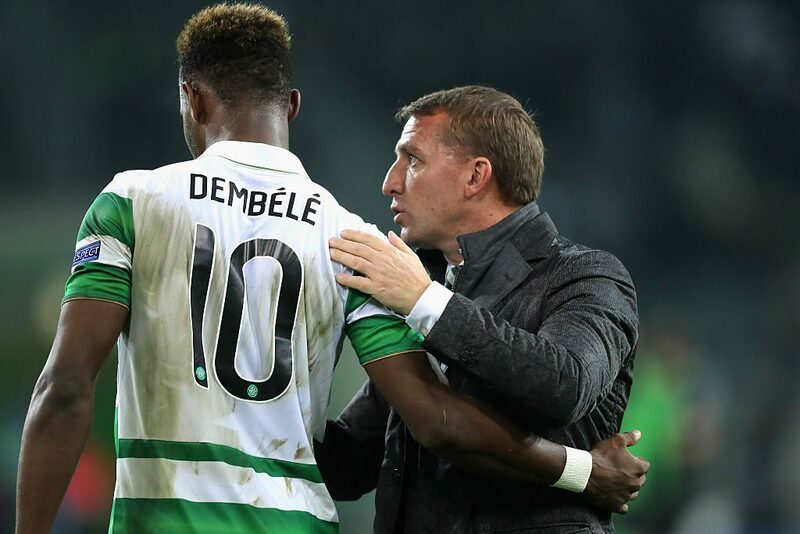 The Moussa Dembele saga at Celtic is ratcheting up as we approach the end of August. A move to Brighton for the Frenchman was announced in December of last year, and though the deal didn’t materialise, Dembele’s future with the Scottish champions came into doubt. A move to Lyon has been mooted in this window, but with this deal blocked also, the 22-year-old didn’t take part in Celtic’s win over Suduva in the Europa League play-off last night. He instead spent his night on social media aiming a series of thinly veiled jabs at manager Brendan Rodgers. This disruptive influence proved the final straw for Rodgers, who sent his player away from today’s training session in order to ‘protect the best interests of the club’. “It is very important that I protect the environment as well”, Rodgers told the media. He also shared his thoughts on the social media comments, stating that he hadn’t made any promises to the player. “I would be disappointed if it was [aimed] at myself considering taking in him a couple of years ago from where he was at, developing him and giving him the opportunity and always being very clear and direct.